I’ve always thought of yoga to be a form of meditation and stretching exercises, but after I started working with a Yoga Instructor on a product line I soon learned that yoga can be good for your overall health. There are millions of Americans practicing yoga (Yoga Mania), and I wonder how did this enthusiasm get past me? I’m a “Tae Bo” girl and I’ve dabbled in “Pilates” in my down time. So when I heard the word yoga I immediately had my “Pilates video playing in my head. When I learned about the different poses and not to mention hot yoga, I had to admit that I was wrong! From a design perceptive, I’ve learned about the yoga colors, symbols, mats, and blocks. 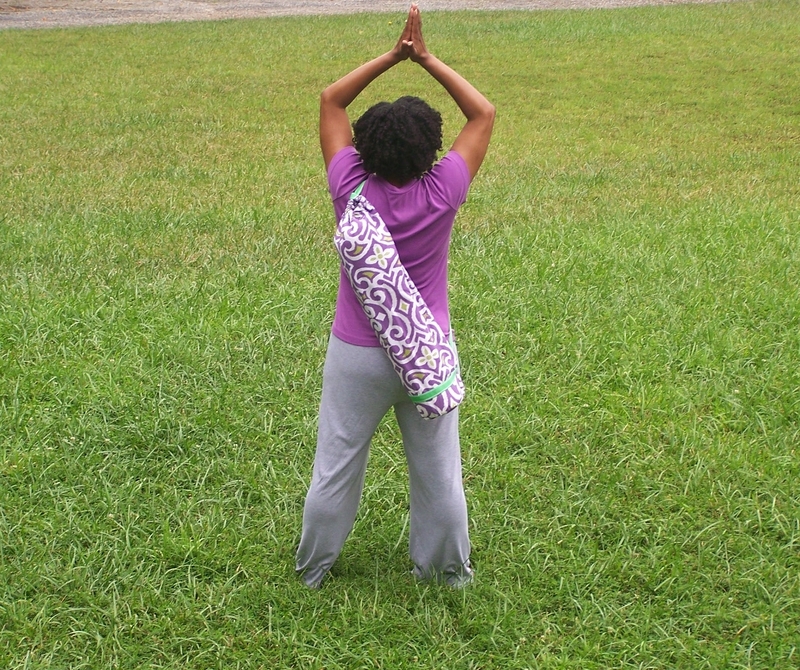 These aspects are important to research when creating a yoga bag. Of course there are thousands of handmade bags and logos out there, so It took time and creativity of course to come up with a similar, but unique design. I felt the need to come up with a logo for my bags to separate my bag designs from the rest of them. 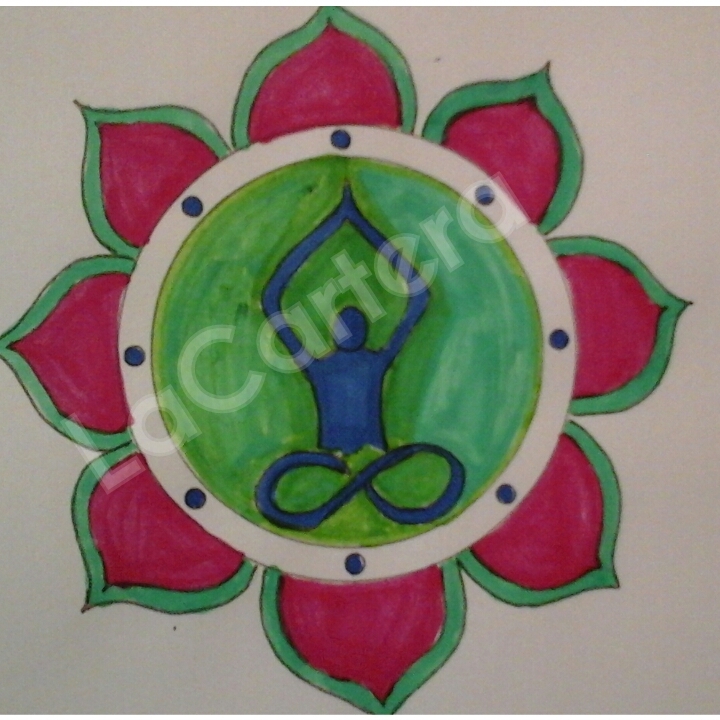 The logo I’m working on is taken from a yoga meditative pose and a lotus flower. I need to make a few adjustments to the design, but I think I will place the outline of this logo on all of my yoga bags. 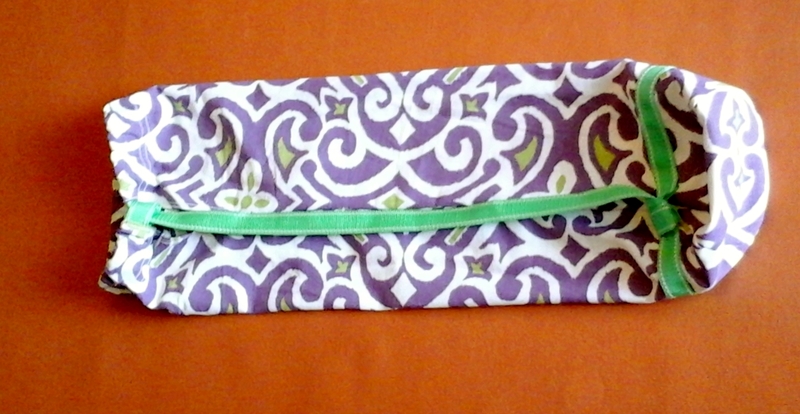 My first yoga bag is complete without the logo and I have three more that are ready for construction. Are you still wondering what’s unique about my yoga bag?? Well I have come up with a way to have one continuous strap that will allow you to open and close the bag. Most bags have a draw string at the top of the bag and a separate strap. Here’s a look at my first prototype! The bag is large enough to carry two mats rolled together, or a mat and a towel. I found out later that I used yoga colors in my design. 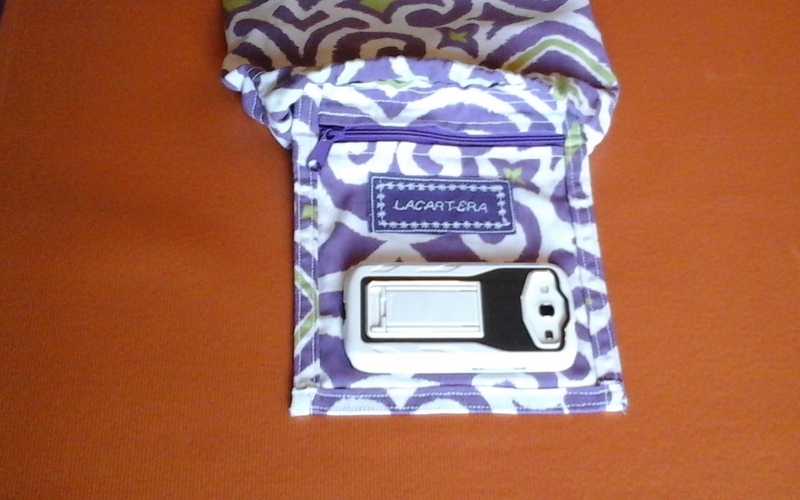 The inside zippered pocket is large enough for a cell phone, keys and a small wallet. I have a yoga mat and a pose to complete the design! 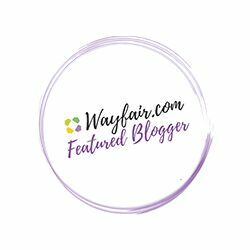 I will share more of my yoga experience with you over the next few blog posts, as I continue with creating and working on my own fabric designs to incorporate into this collection. Nicely done! 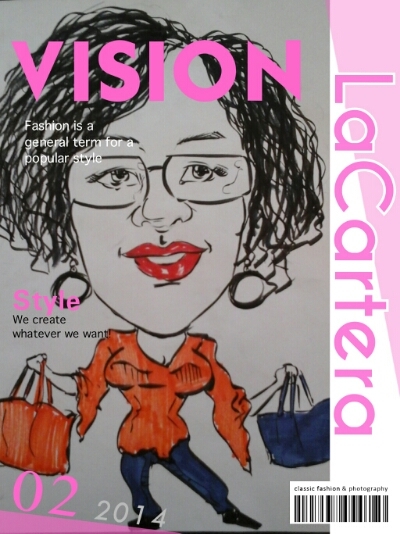 The prototype looks functional and fabulous. And kudos to you for trying yoga. Thanks! I’m finding that I learn something new everyday about yoga and myself.